In 1815 Hannah Villiers by virtue of her will founded a school for Protestant children on Henry Street. 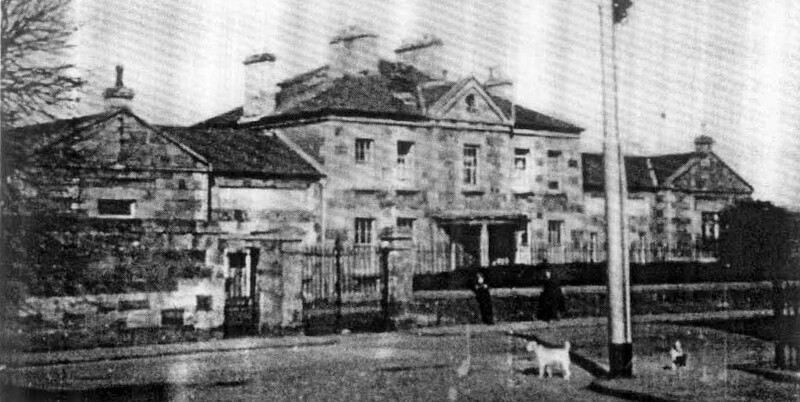 She also funded the Villiers Alms Houses, next to St Munchin’s Church, Kings Island. The following are the results achieved by students in 1918, if you click on each girls’ name you will see where they were living in 1911. Christine Johnston obtained Honours in English, Latin, French, Domestic Economy and Hygiene; passed in History and Historical Geography, Arithmetic, Algebra and Geometry. Ivy Winter obtained Honours in English, Latin, French (6th Place, 83%), German (9th Place) History and Historical Geography, and Passed in Arithmetic. Mollie Miller, Passed with Honours in English, Latin, French, History and Historical Geography, and Passed in Arithmetic and Algebra. Lillie Rowand, passed with Honours in English, French, German; Passed in History and Historical Geography, Domestic Economy and Hygiene, Arithmetic, Algebra and Geometry. Muriel Fitt passed with Honours in English, French, German; Passed in History and Historical Geography, Arithmetic, Algebra and Geometry. Dorothy Long passed with Honours in English; Passed Latin (74%), French, Arithmetic, Algebra, History and Historical Geography. Cora Maunsell passed with Honours in French; Passed English, German, History and Historical Geography, Arithmetic, Algebra and Geometry. Leila Lovell, passed in English, French (70%), German, History and Historical Geography, Arithmetic, Algebra. For Terms and Prospectus apply to the Headmistress.